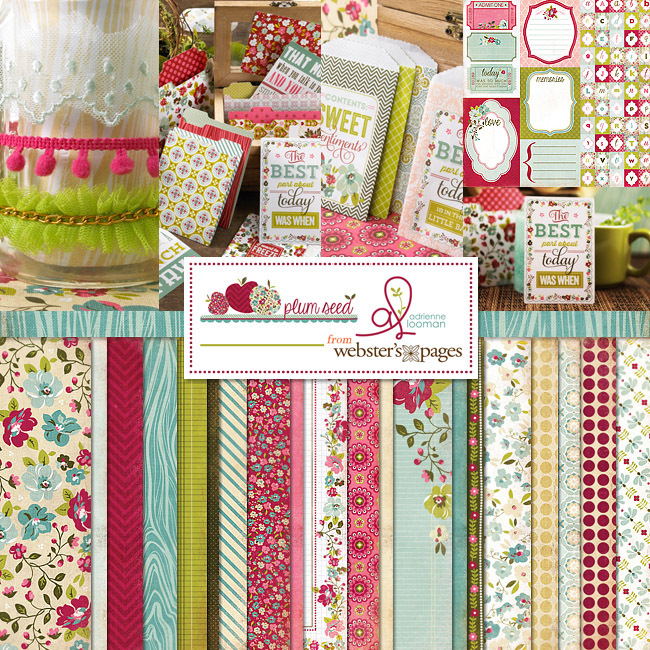 Erin Blegen: My Scrap Cabin: "Summer" Card~ Webster's Pages *NEW* Citrus Squeeze! 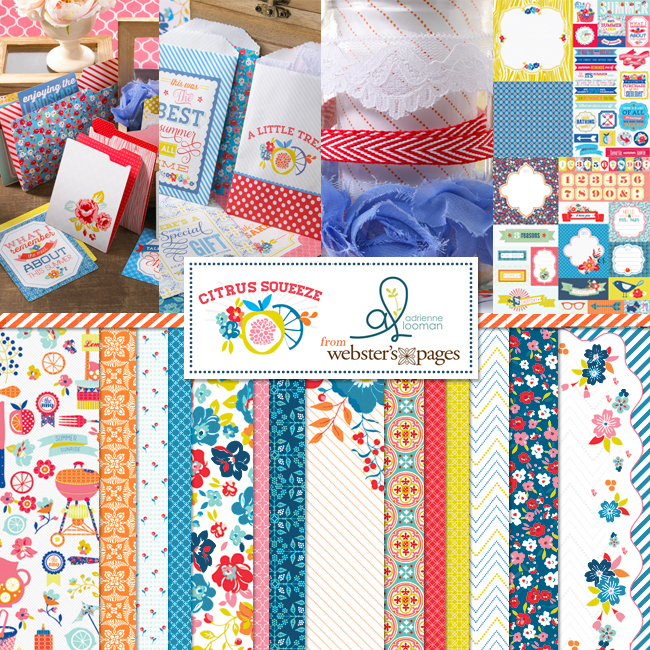 "Summer" Card~ Webster's Pages *NEW* Citrus Squeeze! ...but it's Thursday in my part of the world and I thought I would stop in super quick with a card that I created using the *NEW* Citrus Squeeze collection created by Adrienne Looman for Webster's Pages~! This past weekend, Webster's Pages teamed up with the Simon Says Stamp! blog for a giveaway to celebrate the release of Citrus Squeeze and Plum Seed (another fabulous Adrienne Looman collection). I have created a layout with this collection, but cannot share it with you until Tuesday, June 11th- so make sure to come back! Thanks for stopping in today! Tomorrow is my day for the PaperHaus BLOG HOP- and I have an awesome giveaway to go along with it- so don't miss out! I saw your card on the Simon Says blog. It's stunning! Thanks for sharing! 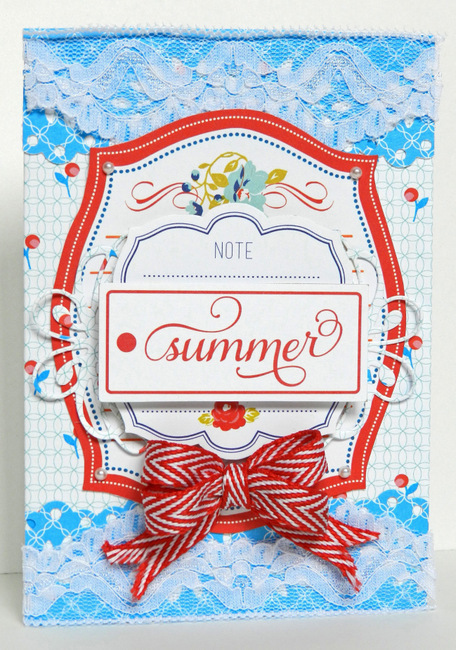 What a beautiful summer card! I love your use of colours. Such acute and summery card. This card really says summer, it's so bright and happy, gorgeous job Erin. Love that red ribbon. Great bright summery card. Love the card! Can't wait to see the PlumSeed LO! The colors in your tag are stunning.. love that shade of blue and the red.. and those papers look wonderful too! Gosh, those colours?!! Definitely summer (she says as it rain in UK, lol). Your card is terrific, Erin, really striking! Really cool font for word & love the red with the fresh blue. I am struggling to do a birthday card but you have reminded me I have some shaped mats.... Umm?